Post conviction relief is different from a direct appeal. During a direct appeal, one is making the argument that a mistake of law was made during trial which led to one’s conviction. However, there are some instances in which a person may be incarcerated unlawfully due to what are not considered appealable issues. 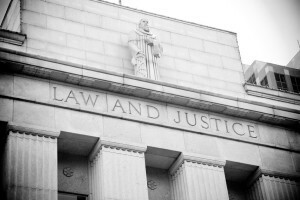 Post conviction relief petitions (otherwise known as petitions for a writ of habeas corpus) allow those convicted of a crime to file a petition asking for relief due to issues which are not raised on an appeal. Bretton Barber is a Phoenix area attorney representing defendants wishing to file for post conviction relief. Call today to speak with our lawyer. Rule 32 is most often cited for those who believe their attorney was incompetent or did a bad job at trying their case. Ineffective counsel is not a grounds for appeal and will not be heard by an appellate Court; it is the number one reason why post conviction relief petitions are filed. However, the standard to prove an attorney failed to do a competent job is high and it is rare for a petition to be granted on ineffective counsel grounds. These petitions are most commonly accepted when there has been a law change that either impacts the conviction itself, or the length of the related sentence. If you wish to file for post conviction relief then there is only a limited amount of time in which you may do so. In most cases a person only has 90 days to file after their sentence has been ordered.This time is stayed while one’s case is on appeal. This 90 days starts over if a new law or new evidence emerges, and can also be ignored altogether using the right argument. Bretton Barber has the skill to make a compelling argument that articulately explains why your case makes you eligible for relief. Contact our office today for a consultation. There are some circumstances in which a person loses their direct appeal but is still able to apply for post conviction relief. However, if a person has grounds to make a direct appeal and misses the deadline, then they waive their right to file a petition under rule 32. If you have recently lost a jury trial or pleaded guilty and have been sentenced to prison, it is important to consult with an attorney immediately to find out what options are available to you. The laws regarding appeals and post convictions are confusing and there is a very small window of time available to file your documents. Bretton Barber will review your case and explain to you if you have a strong case to request relief. Call our office today to speak with an attorney.